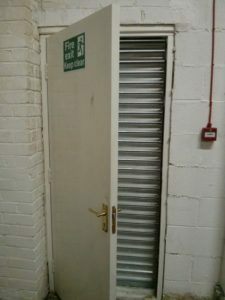 Every business is expected to carry out a Fire Risk Assessment under UK law. Every year around 40 people die in fires that start in their workplace. Over 22,000 fires occur in non-domestic dwellings and over 1,000 people are injured in fires at work each year. This is mainly through inhalation of toxic fumes from the fire, not only the fire itself. A fire risk assessment looks closely at the fire safety provision in a workplace and makes recommendations for improvement, if necessary. The result of a thorough assessment is that everyone in their workplace knows what to do, either if they discover a fire or, hear the alarm. More importantly, they should know how to prevent fires from starting. We can train your staff too! 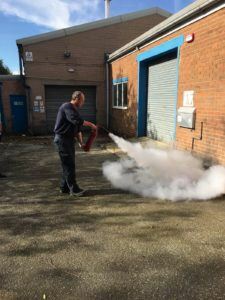 The knowledge gained from the Fire Safety Awareness course will help to keep your workplace and employees safe. If you haven’t carried out a fire risk assessment for your workplace, get in touch for a free quote. Call 0161 298 1040 or complete the contact form and we’ll call you back.